On this 7-day holiday, explore the Great Rift Valley Lakes of Kenya as you look out for a million flamingos. Spot the Big Cats, the Big Five and other wildlife in one of the most beautiful wildlife destinations in the world- Kenya! Your Kenya wildlife holiday beings upon arrival at Jomo Kenyatta International Airport, where you will be met by our representative and transferred to your hotel The Boma, Nairobi. Check-in to the hotel and spend the rest of the day at leisure. After breakfast, check-out of the Boma Nairobi and be transferred to Lake Bogoria. Located in Kenya's Great Rift Valley region, Lake Bogoria is one of the five Soda Lakes of Kenya and a designated Ramsar wetland of international importance. Lake Bogoria is known for its hot springs and boiling geysers. It is home to elusive greater Kudu and a multitude of flamingos that often descend on the lake. Enjoy game drives in the reserve and visit the lake for a chance to view its flocks of flamingos. Enjoy a picnic lunch on site and later, drive to Lake Baringo. Be transferred by boat to your hotel- Island Camp, Lake Baringo. 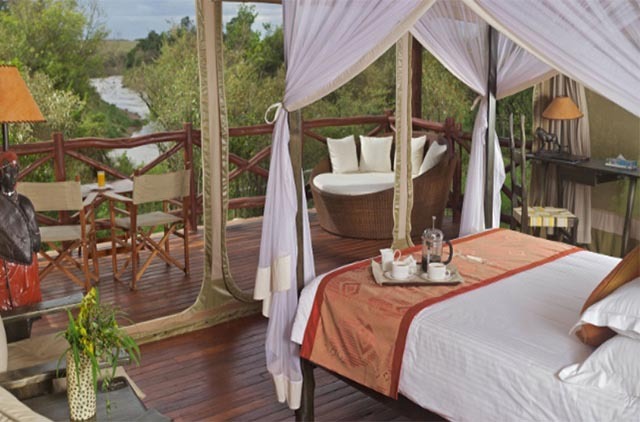 The Island Camp is the second oldest tented camp in Kenya after The Governor’s Camp in Masai Mara. 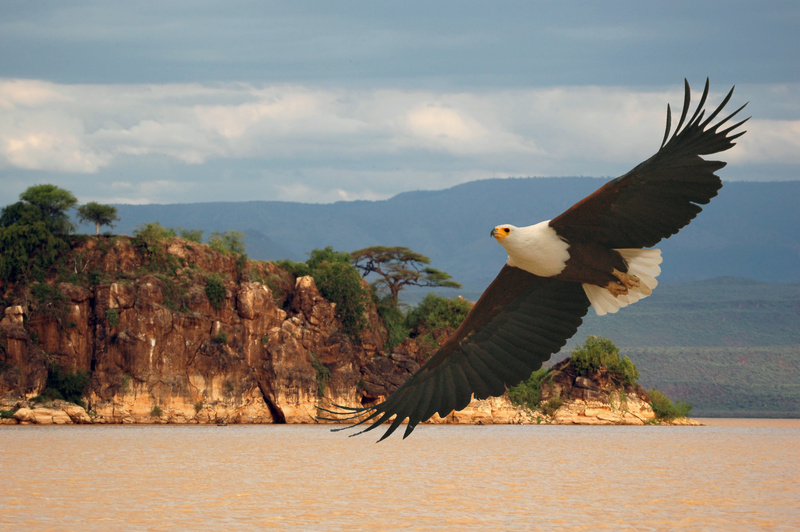 The camp is located in the southern end of Ol Kokwe Island, which is in the middle of Lake Baringo. After breakfast, check-out of Island Camp and be transferred by boat to the jetty where you join our guides. Drive to Lake Nakuru and we aim to arrive in time for lunch. Check-in to Lake Nakuru Lodge and enjoy a scrumptious lunch. In the afternoon, go on an afternoon game drive in Lake Nakuru National Park and witness the candy-floss pink flamingos. Later, return to the lodge and spend the rest of the day at leisure. After breakfast, check-out of the lodge and drive to the Masai Mara National Reserve offering wonderful scenery and plenty of game. 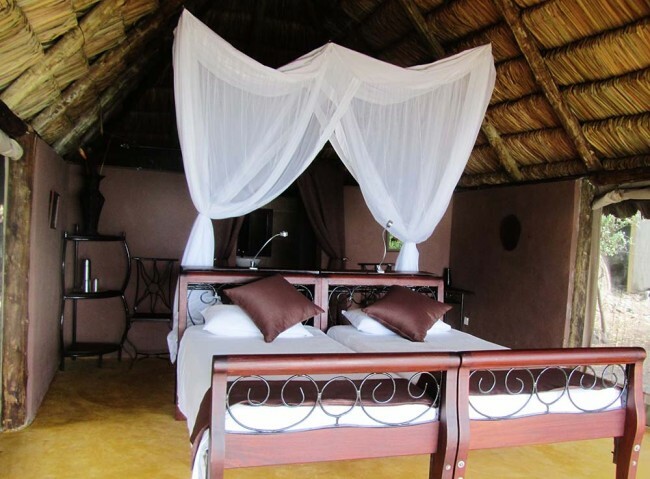 Upon arrival, check-in to the luxurious Ashnil Mara Camp and enjoy a scrumptious lunch at the camp. In the afternoon, go on an afternoon game drive in the iconic Masai Mara National Reserve. The Masai Mara National Reserve spreads out for about 1,510 sq km. It has the Serengeti Park on the south, the Siria escarpment to the west and Maasai pastoral ranches to the north, east and west. The park is a photographer's paradise and you get to capture some of Africa's unique wildlife and exquisite natural beauty. Spend the next two days enjoying morning and afternoon safaris in Masai Mara National Reserve. Along with the Big Five, spot wildebeests, zebras, Thompson’s gazelles, topis, elands, cheetahs, hippos, Nile crocodiles and other wildlife at Masai Mara. After breakfast at the camp, check-out and drive back to Nairobi. Enjoy lunch at the famous, meat-speciality Carnivore Restaurant. Later, be transferred to Jomo Kenyatta International Airport for your flight back home.